This is not a self-help book, nor an examination of how leaders operate in the wider world. 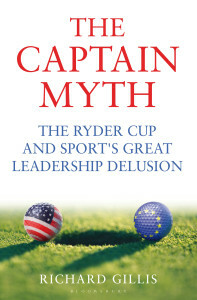 The Captain Myth is a sports book for a specific niche: golfers, and more specifically, it is for those golfers who spend hours arguing about the Ryder Cup. The serious student of leadership will not find much here, however the passionate golfer will find a number of excellent anecdotes. The Ryder Cup is a biennial competition between a team of male golfers from the United States versus male golfers from Europe. Begun in 1927, the competition was restricted to the US versus Great Britain but the US so dominated the competition that all of Europe was added in 1979. Since that time, the Europeans won or retained the Cup eleven times while the US has won only seven (Europe has won the last three competitions). The competition has become so fierce that matches have been given names: The 1991 event at Kiawah Island became known as “The War on the Shore” while 2012 became known as “The Meltdown at Medinah” when Europe made a remarkable comeback to win the Cup. Richard Gillis is a former editor of Sports Business International magazine and is a cricket correspondent for the Irish Times. He writes about sports, business, and the media for the Wall Street Journal; however, he has no bona fides listed as a judge of leadership skills. 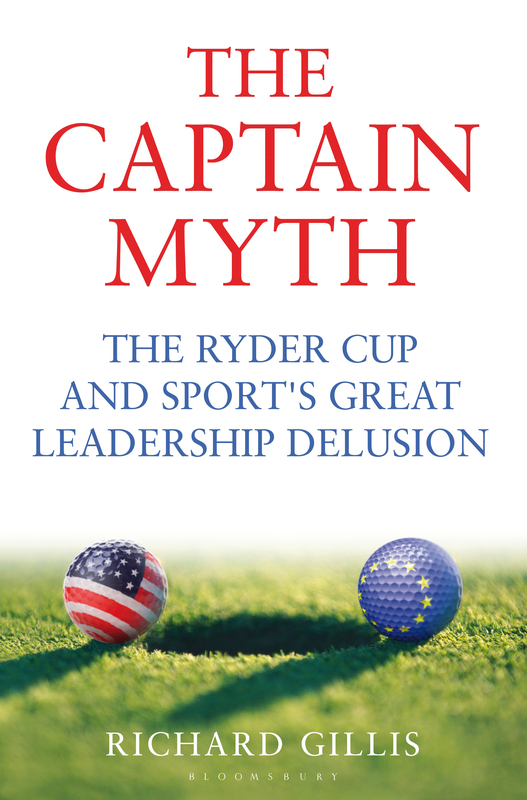 Nevertheless, in The Captain Myth Gillis sets out to explore the role of the captain in the various Cups, asking how the story and history of the events define that particular role for each team. The captain’s perceived skills are often tied to stereotypes based on their home country. Ian Woosnan of Ireland was seen as the passionate Celt exhorting his team to victory in 2006. The German Bernhard Langer was compared to the production values of German cars, an appropriate attribution since Langer was well-known for his meticulous preparation as a player. Tom Lehman in 2006 and Corey Pavin in 2010 are both born-again Christians who led in a more subdued manner. The commentator David Feherty has noted that Europeans tend to equate evangelicals with conservative Muslims. These concepts accord with Edward Thorndike’s description of the “halo effect” from the 1920s. That is, we tend to make “specific inferences on the basis of a general impression.” The halo is the overall impression created by a company or leader. According to Gillis, the description of the leader usually comes after the competition is over and the media deconstruct decisions about how to pair team members or how to align singles play on the final day. Regardless of the captain or the line-up decisions he makes, some players win and some lose, and, not always according to form. No matter how someone like Gillis couches explanations or interprets a captain’s decisions, even the very best golfers — men who handle tremendous stress every week on the PGA Tour — often succumb to the pressure of playing for their country and their team.